Some groups have different speakers at each meeting, check the calendar for details of individual events. Check with the Office for details of other groups that meet occasionally. Please note that most of the groups that use our premises have no association with the church and enquiries about them should be made direct to the group in the first instance. A meal for homeless and vulnerable people is served every Monday lunchtime at 12:00, except bank holidays. 5000 Project page. Aphasia Support Group – formerly known as Connect. This informal drop-in group is now kindly run on a voluntary basis by group members and offers friendly support to people suffering from Aphasia - a communication disability most commonly caused by stroke or head injury. This welcoming group meets every 1st and 3rd Tuesday of the month, 10.30am-12.30pm. Tuesday 1pm, hot lunch. We hold exercise and yoga fortnightly, there are various talks and occasional health checks. You can just turn up on the day, but there is a membership fee. These delightful and prestigious concerts of light classical music now feature monthly at the church on Tuesdays, 10.30 – 11.30 am. Babies are expected to be babies so some vocal accompaniment, not necessarily in tune, is acceptable! Toddlers, parents and grandparents are also welcome. Tickets online or on the door. Tuesday evenings from 7:30pm. Friendly atmosphere, good facilities, play in local leagues. Wednesday mornings from 10:30am to 12:30pm for retired folk. Gentle exercise in friendly atmosphere to help keep fit. Contact Chris (01689 859945) for details of either section. Bal Vikas is a monthly class for children aged 5 to 12 of all faiths. We meet on the fourth Saturday of the month at 2pm. Through silent sitting, stories, games, plays, songs and crafts, children develop love for values, culture and God in a nurturing environment. Classes follow a set syllabus which is child-friendly in approach and is based on thought-provoking themes from lives of great masters, history, mythology and Indian festivals to name a few. Tuesdays 10 - 11.30 am. Come along to meet other mothers and our breastfeeding counsellors to share your experience of breastfeeding and to receive any help and support you may need. No appointment required. Breastfeeding telephone support line 0845 308 2310. Bromley and District Floral Society web site. The Food Bank operates from the Duncanson Room. More information about Bromley Food Bank. 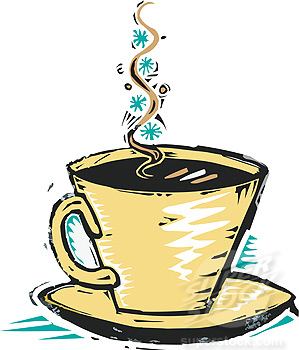 Monday to Wednesday: Oasis Café Light refreshments in the vestibule from 10am - 12:30pm. Thursday: Antiques Market café from 6am - 2pm. Friday: Coffee & Cakes - the Community Café is from 10.30am to 1pm to help fund the 5000 Project. A nominal charge of £1 is made for refreshments - free for genuinely homeless people. Click for more details about our occasional craft fairs and table-top sales, or from the Local Church Leader, please contact the office. Agnita, the Town Centre Chaplain, will lead prayers in the chapel everyTuesday at 12:30pm. Happy Crafters – A fun group where children can explore different arts and crafts, with a different story book theme every week. For 18 months to 6-8-year olds (younger siblings are welcome too and can play in the baby corner). We offer hour long sessions with lots to do including x 2 crafts, a sensory table, colouring table, toys & books, story time and stickers before home time. Free refreshments (tea/coffee & biscuits) are also available for both parents and children. For details of session times and prices see The Happy Crafters Bromley Facebook page and contact Naomi Matthews to book a space. You are welcome to come along and pop in a few pieces to the on-going puzzle which is renewed each meeting. Better still, why not enrol as a library member and borrow a quality jigsaw (either 500 or 1000 pieces) for a mere 50p a time? The church cafe is open at the same time! Open alternate Wednesdays in the church vestibule 10.00 am – 12.00 noon. See calendar for dates. Got a query? 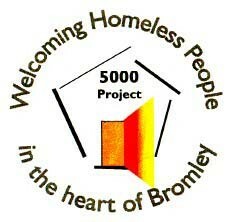 Try www.bromleyjigsawclub.co.uk or telephone on 020 8464 7674 when the library is open, NOT otherwise, please! LWFCI-UK – (Lay Witness for Christ International-UK) is a non-profit organisation and registered charity. We reach out to young people and adults in communities to positively impact on their lives through sports activities; tutorials for children with special needs and support groups for their families; media training and employability skills programmes. The aim of our charity is to impact the world, inspire the communities and motivate young people and adults to stay on the right track in life and fulfil their potential, regardless of cultural, ethnic or religious background. Tutorial Classes and creative social activities for children with special educational needs run every Monday and Wednesday from 5-7pm for ages 5-12 years. (£2.50 per child). A Family Support Group for families who have children with Autism, ADHD, speech & language, social & emotional difficulties or other learning disabilities runs every Monday from 5-7pm (Free). An indoor Basketball Club for young adults (16-24 years) of all abilities looking to try new sports or learn basketball skills is held every Monday from 6-7pm. For more details on the organisation please visit www.lwfci.org.uk, email info@lwfci.org.uk or call 0203 583 3005 or 07950746544. Lunch with Friends (5000 Project) – a weekly lunch at 12 noon every Monday, except bank holidays. The three-course meal is free for those who are rough sleeping homeless and whose benefits have not started, and £2 for everyone else. As well as food, we provide a safe environment where all people are treated with respect and dignity. Relationships are developed, a sense of belonging is engendered, and self-confidence is built. For young people aged 15 - 26 with learning disabilities. We create dances together as a group and share these with parents and friends at the end of term. Wednesdays in term time 4:30 - 6:30pm. We now also run a group for adults on Tuesday mornings 10am – 12.30pm. To book contact Laura Graham (020) 8290 6633 or email admin@magpiedance.org.uk to request a booking form. 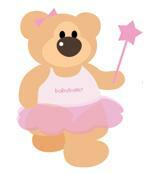 Fun, entertaining and educational classes for children aged 3 months to 4 years and their carers. 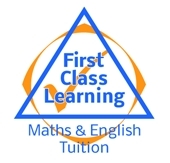 We have a progressive curriculum, limited class sizes and offer a complimentary class. 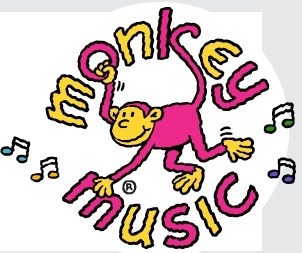 See for yourself, book a free class and come along soon for some musical fun with Monkey. Every Friday (except for school holidays). Parkinson’s UK – A support group for Parkinson sufferers and their carers. Join Gemma for gentle exercise and movement to music, or just come along to chat to other group members over a cup of tea or coffee. Twice monthly meetings on Tuesday afternoons. Fifteen minutes of prayer at noon on the second Wednesday of every month. See the Calendar for this month's leader. Pilates – Join Carole for this popular exercise class every Tuesday 10.30-11.30 am and on Thursdays between 9.30 & 11.30 am. For details call Carole on 07973270778. Russian Playgroup/Drama Group for bilingual Russian-English mums, toddlers and Children. Socialise with other Russian speaking mums, while the children enjoy stories, activities and singing. The Playgroup meets Thursday mornings between 10 & 12.30pm and Friday mornings 10 – 11am; and older children can gain confidence and enjoy a Drama Group on Thursdays between 5-6pm, all term time only. We meet every Wednesday between 2pm and 3.30pm in the church except at Christmas and New Year. The singing group is open to dementia sufferers and their carers; new members are welcome at any time and no prior booking is necessary. Further details may be obtained from Maria Harris of Age UK Bromley and Greenwich on 020 8315 1850. (Age UK and U3A). Prayers for all religions and devotional singing. Join us with your family and friends on every second Friday of the month from 6.15 to 9pm. Plus, we meet every first & third Saturday of each month from 11am to 1pm and hold Bal Vikas classes for children aged 5 to 12 of all faiths. Through silent sitting, stories, games, plays, songs and crafts, children develop a love for values, culture and God in a nurturing environment. Classes follow a set syllabus which is child friendly in approach and is based on thought-provoking themes from lives of great masters, history, mythology and Indian festival to name a few. For more details contact Mrs Ravina Chandwani on 020 8777 4383. For the over 50's. We have four tables and doubles are played. The table tennis is non-competitive and social but members are expected to have a modicum of ability. Monday 1pm - 4 pm: contact David Frostick on 01689 833219 or davidfrostick321@btinternet.com. Friday 9.30am – 12.30pm: contact John Duffin on 01689 873197. Tai Chi – A Chinese martial art class for both defence training and for its health and wellbeing benefits. Classes are held every Thursday evening between 7.30 – 9.30 pm. Toddler Sense – A structured programme of play and adventure which goes hand in hand with imagination and the freedom to explore, being important for toddlers as it helps to prepare them for school. For toddlers aged 13 months – 5 years. For more info call Hayley on 07468587430, or email Bromley@toddlersense.co.uk. Education and leisure activities for all mature people, both retired and in part-time employment. On the third Tuesday of each month, U3A Bromley holds a monthly meeting for members with a talk by a visiting speaker. Several study groups also meet at the URC.